After a group of us went to see Godspell a group of us gathered while Barb Haddon led us in a stimulating discussion of the play. A large group of us went to see Jesus Christ Superstar last week, and I heard many questions and comments afterwards. I want to address those and hopefully explain what I appreciated about the play, and where I thought it was only a partial picture of Jesus. First the play is the life of Jesus from Judas’s perspective. As you can imagine, that is a very different, and complex story. Jesus Christ Superstar does not pretend to be a biblical presentation of Jesus, although clearly the Bible is one of the sources they use. For example, you may have noticed there were 14 people at the Last Supper. (Also the Apostles were singing that they always wanted to be an Apostle, a term that was not used during their time with Jesus.) The chronology also differs from the biblical account. In the play Jesus was crucified on Saturday, not on Friday. To be fair, many scholars question the actual historicity of the Gospel accounts. For example we talk about 12 disciples. That number obviously corresponds to the 12 tribes of Israel. There were clearly more than 12 people who followed Jesus. Of all those, he chose 12 to be his official sidekicks. The rationale was to show the link to ancient Israel and the 12 tribes. So there may well have been more than 12 people at the Last Supper. On the other hand, the chronology of the arrest, crucifixion and resurrection are pretty established. Here Judas neatly summarizes to very different ways of approaching the legacy of Jesus. On the one side you have Jesus Christ as personal Lord and Savior, who came to die so that we may be forgiven of our sins. Jesus is the second person of the Trinity, fully human and fully divine, who came with a specific mission, and every step of his ministry was preordained by God. When someone follows this Jesus, they invite Him into their lives, worship Him, and ask Him to forgive our sins. What is important here is the person of Jesus. On the other side you have Jesus the Teacher, who came to tell humanity of a better way of living, and whose message was rejected. Like many prophets who came before and after him, his message was rejected, and like may prophets who came before and after him, he was killed for what he said. Following this Jesus means following his teaching. Whether or not he was divine is irrelevant. His teaching is divine. So what is important is the message of Jesus. This is clearly the camp that Judas falls into. We it almost looks like we can split our understanding of Jesus into two camps. On the one hand you have people who emphasize the person and work of Jesus (that he died to forgive our sins) and who also emphasize the divinity of Jesus. On the other side you have people who emphasize the teachings of Jesus, and who focus on the humanity of Jesus. As with most splits like this there is truth in both, and misunderstandings in both. The person of Jesus is very important. But so is the teaching. It is not a problem that we have these two difference conceptions of Jesus. Both are important in our understanding of Jesus. Problems come in when one side totally ignores the other. Paul gives us the answer in his letters. Jesus did not stay dead, but was resurrected, and still reigns (and loves) in heaven. But consider Wright’s second question—“Why did Jesus live?” Why the three-year ministry? If he only came to die for our sins, then he could have just offered himself up, and avoided the frustrations of dealing with people who refused to accept or even try to understand his message. The life and teachings of Jesus were very important. One of the hardest scenes to watch in Superstar is when Jesus is praying in the Garden. He is confused, angry, hurt and scared. If Jesus was truly human, we have no reason to doubt he might have felt all those emotions. In fact one thing that Jesus Christ Superstar gets very right is the importance of the life of Jesus, and the humanity of Jesus. Part of Jesus’ real frustration in life was that he had this extraordinary, in fact supernatural message of radical love, a love that could change the world, and people would not listen. They would rather nurse old hurts, resort to bitterness and prejudice, and cling to material rather than spiritual blessings. He poured his heart into those teachings and he was, and in many ways still is, ignored. 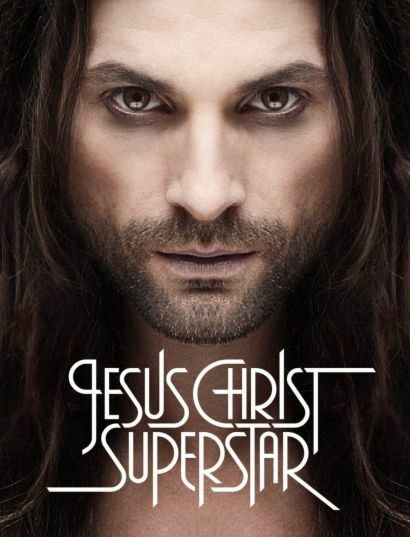 So, Jesus Christ Superstar is at best a half-glance at Jesus. There is a lot that is left out. There is a lot in the play that did not correspond to the real life of Jesus. But there are also things in it that show us a side of Jesus we might normally ignore.